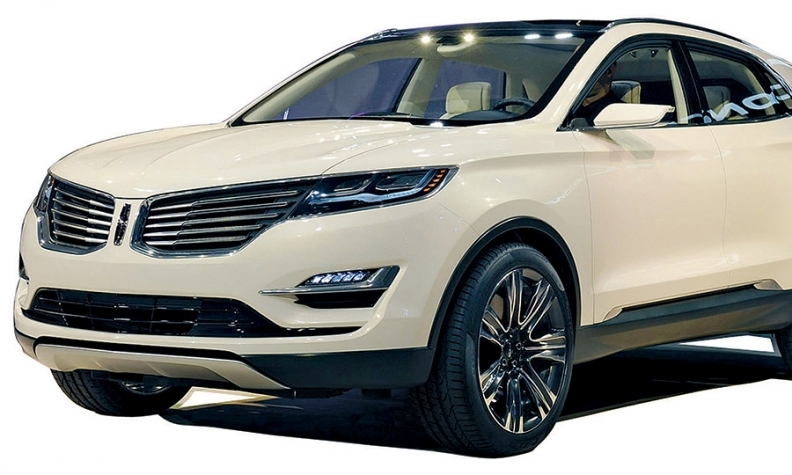 The MKC, Lincoln's new compact luxury crossover, is expected to arrive next year. Its competitors will include the Acura RDX, Audi Q5 and BMW X3. The inside of the Lincoln MKC. Lincoln needs a second act in its ongoing brand reinvention. The first act, the redesigned 2013 MKZ, has been the best seller in Lincoln showrooms since it arrived last winter, even though quality problems and parts shortages delayed its arrival by about four months. Now dealers are waiting for the MKC, a luxury compact crossover built on the same platform as the Ford Escape but featuring Lincoln's new spread-eagle grille and other design cues. Lincoln has announced it will enter China next year. Chinese customers love large luxury cars with big back seats, and many Lincoln dealers hope that might eventually translate to a rear-wheel-drive Lincoln flagship -- perhaps a revival of the Continental. For now, Lincoln is setting modest goals. Lincoln executives say they aren't trying to compete with BMW, Mercedes-Benz or Lexus as a full-line luxury player. Rather, Lincoln is taking a walk-before-you-run approach by focusing on segments in which it sees the most opportunity: mid-sized luxury sedans, with the MKZ, and luxury compact crossovers. Lincoln also sees opportunity in the small luxury sedan segment, but officials haven't confirmed the brand will offer a Focus-based Lincoln. Despite Ford's efforts to differentiate Lincoln with design and technology features, Lincoln still relies on Ford-brand platforms. Lincoln's two biggest sellers, the MKZ and MKX, are much more important to Lincoln, in relative terms, than their Ford platform mates, the Fusion and Edge, are to the Ford lineup. The MKZ accounts for 38 percent of Lincoln sales through July, and the MKX accounts for 30 percent. By comparison, the Fusion accounts for 13 percent and the Edge just 6 percent of total Ford-brand sales. Ford has sold nearly twice as many units of the Edge -- 79,512 through July -- as it has all Lincoln vehicles -- 45,207 through July. Lincoln announced last week it is launching an upscale Black Label series that will first appear on the MKZ by the end of 2014. Customers will be able to choose from three interior color combinations and exclusive paint colors. Here's a look at Lincoln's future products. 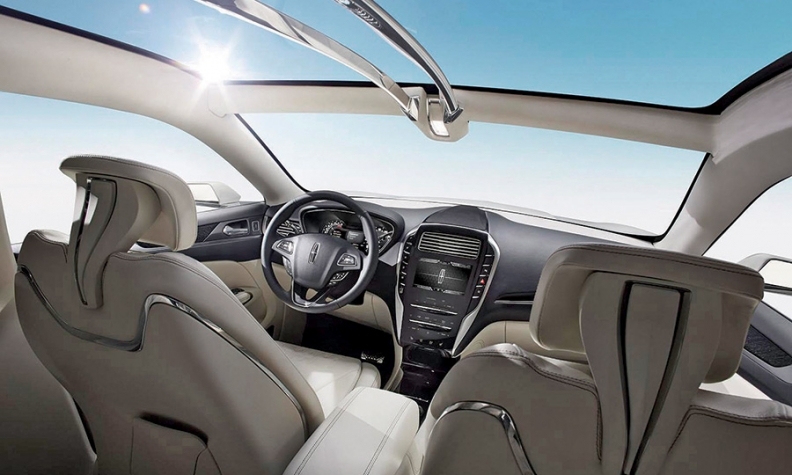 MKZ: The MKZ, which was heralded as the first vehicle in a comprehensive brand reinvention, was redesigned for 2013. Lincoln has already said it is upping the hybrid share of MKZ production from 20 percent to 40 percent in response to the popularity of the hybrid. The MKZ should be due for a midcycle freshening in 2016. MKS: The MKS, which shares Ford's large-sedan platform with the Taurus, was freshened in 2013 with a new grille. In 2014, the MKS will be offered in new colors, and a rearview camera will be standard. A redesigned MKS should arrive in 2016. The next-generation MKS is likely to get one of Ford's new Nano family of V-6 engines. There have been rumors that Lincoln may resurrect the Continental name with its largest sedan. MKC: The next new vehicle in the Lincoln revival will be the MKC, a compact luxury crossover aimed at customers of the Acura RDX, Audi Q5 and BMW X3. The MKC should arrive in the second quarter of 2014. The MKC, introduced in concept form at the 2013 Detroit auto show and based on the Ford Escape, will have the MKZ's spread-wing grille. It also will have a push-button gear shifter, which frees up the center console for storage and gives the interior a more spacious feel. Like the MKZ, the MKC will feature touch controls instead of buttons and knobs. The MKC is likely to be powered by a 2.0-liter EcoBoost. Given the popularity of the hybrid version of the MKZ, the MKC is also likely to get a hybrid. MKX: A redesigned version of the MKX mid-sized crossover is likely to arrive in first half of 2015 as a 2016 model. Lincoln has kept details under wraps. The MKX shares a platform with the Ford Edge. If the company repeats recent history, the Ford version will arrive in the market first, followed by the Lincoln. A hybrid version is a strong possibility as Lincoln stakes out turf as a luxury brand with green credentials. is the slowest seller in a slow-selling lineup. With limited success, Lincoln has marketed the MKT as a replacement for the departed Town Car in taxi and limousine fleets. The future of the MKT, which shares a platform with the Ford Flex, is uncertain, but Ford doesn't want to give up on the livery business. Navigator: With the 1998 Navigator, Lincoln beat Cadillac to the punch in the large premium SUV category. But Cadillac's Escalade kept evolving and its sales kept growing, gradually eclipsing the Navigator. Now Lincoln is working to revive its largest SUV. A re-engineered Navigator will likely arrive in the second half of 2014. The Navigator is a candidate for the 3.5-liter EcoBoost or one of Ford's new Nano V-6 engines. The Navigator shares a body-on-frame platform with the Ford Expedition.